Charlie, Masa and Alf are best mates - loyal and adventurous. They’re the Fighting Stingrays. In between school, swimming and fishing on idyllic Thursday Island, they have a ripper time role-playing bombing missions and other war games. But when Japan enters World War II, the Fighting Stingrays are told that one of their own is now the real-life enemy. Drawn into a dangerous game of cat and mouse in the Torres Strait, their friendship and loyalties are tested as the threat of invasion looms closer. Adventure, Australian history and the power of friendship come together in this extremely engaging novel about a trio of boys living on Thursday Island during World War II. 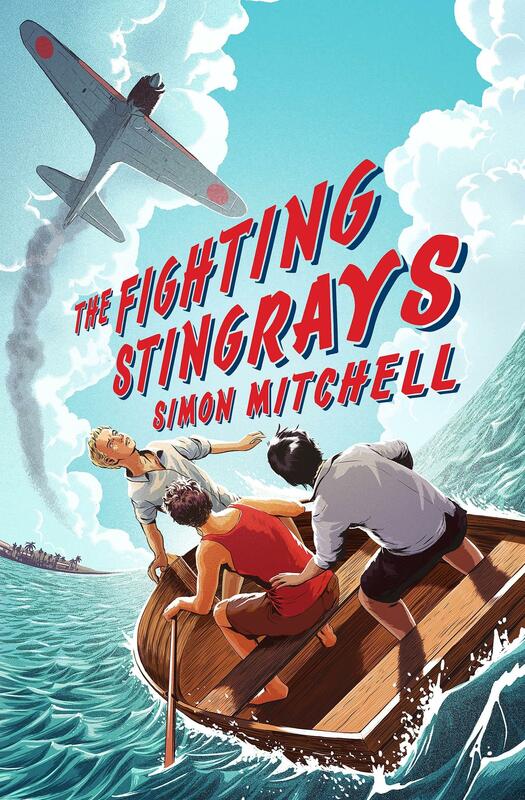 Charlie, Alf and Masa spend their leisure time acting out Biggles-inspired war games as the fictional RAAF crew, The Fighting Stingrays. When Japanese forces bomb Pearl Harbor, their games become reality, and their idyllic life is lost forever. Northernmost Thursday Island is tactically important and Australian troops move in. Much to the boys’ horror, their friend Masa, born in Australia to Japanese parents, is interned with the other local Japanese families. Rather than submit to the situation, Charlie and Alf embark on a dangerous quest to bust Masa out of internment and keep him out of the hands of the nefarious Captain Maddox, the true villain of the piece. This is a truly thrilling story of escape and survival, with subterfuge, near-misses, intense action and plenty of humour. It’s not just the war that threatens the trio, but the internal tensions in the group. The boys disagree, bicker and poke fun, but their bonds of friendship hold firm and are repaired in stressful situations. Mitchell does a fantastic job of describing Thursday Island of the 1940s – a melting pot of Aboriginal Australians, Torres Strait Islanders, Japanese, Chinese, Malay, white Australians and other cultural or national groups, all built around the lucrative pearling industry. The community is stratified on the basis of skin colour, and inequity between white Australians and all other groups is built into the economy. Mitchell doesn’t shy away from the less pleasant aspects of war, both the behaviour of Japanese troops in the region and the Australian government’s abandonment of Torres Strait Islanders when others are evacuated. This is a highly recommended read for ages 9+. Leanne Hall is a children’s and YA specialist at Readings Kids. She is also the Grants Officer for the Readings Foundation.